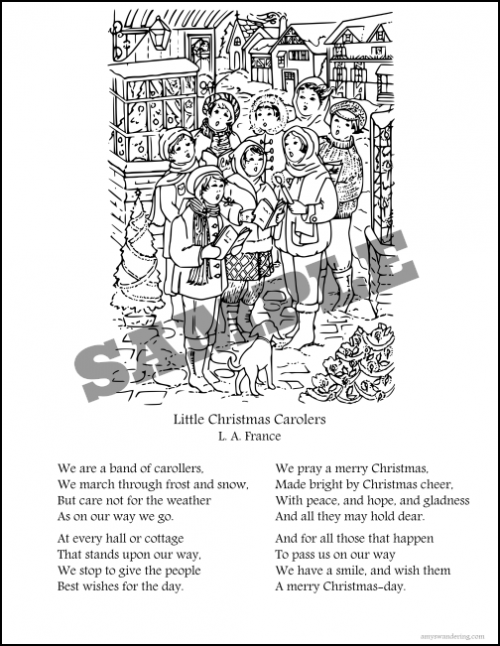 Add some Christmas Funschool to your week! 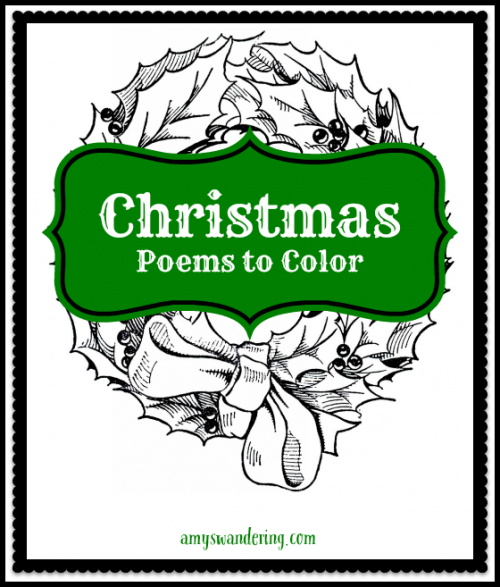 I’ve created a sweet little set of vintage Christmas poems to color. They work great for copywork, too. 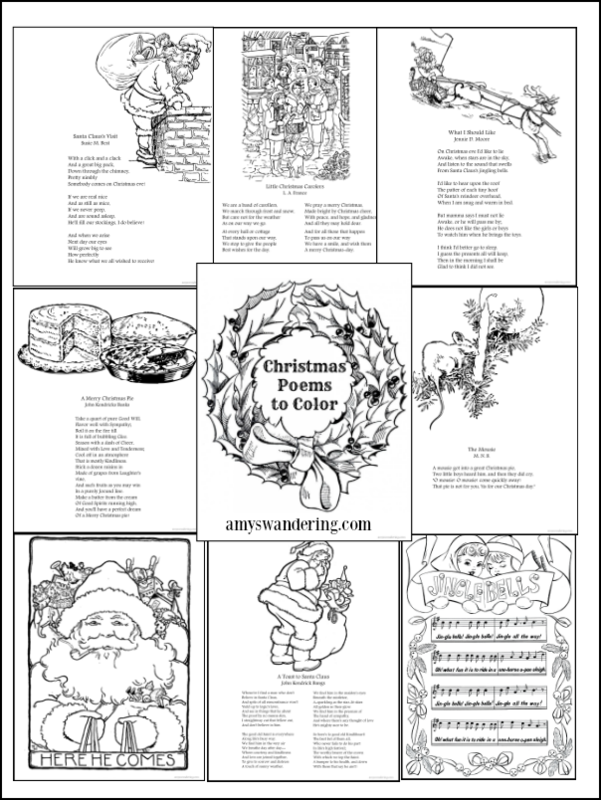 These Christmas Poems to Color are available to download below. To make a fun coloring book, hole punch the pages and put in a 3-prong folder. Glue the title page to the front of the folder. Pretty! The vintage images seem a perfect match to the poems!